This double portrait explores the staying power and genius of the composer Dmitri Shostakovich who, by wits and wile, negotiated the tightrope between self-expression and personal doom in Stalin’s Soviet Union. The “piano lesson” is a common in the history of painting. 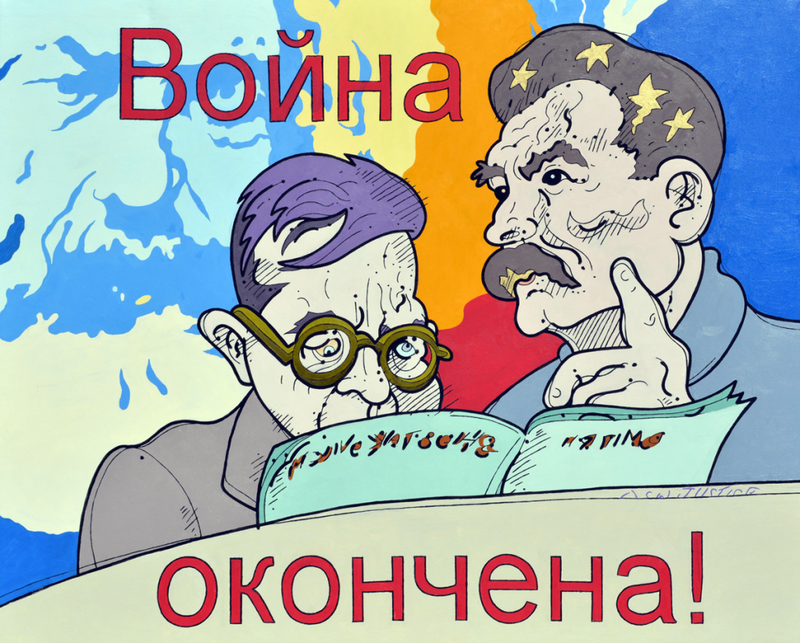 I here introduce the character of the meddling Stalin, accompanied by the ghost of Marx and the words of Lennon, “War is over!”, in the style of Soviet poster art.